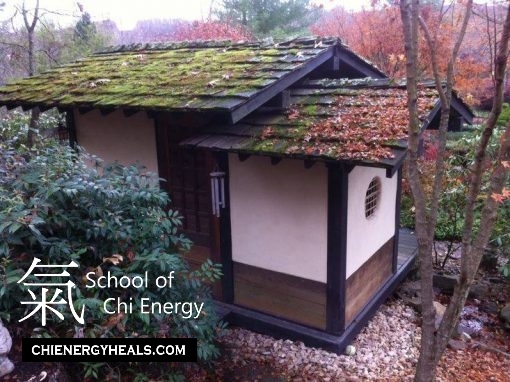 Welcome to the School of Chi Energy that teaches the Beginner up to the Professional a Unique Chi Energy Cultivation Method. We Teach Students how to Build up and Cultivate Electromagnetic Formed Healing Chi Energy with Active Feedback and Private Training. Sign up for our Bi-Monthly Newsletter and learn some of the common mistakes people make, while practicing energy training. Subscribe to our Monthly Newsletter Your email privacy will be ensured. Sifu Jones & Sifu Cicero discuss what it takes to reach the higher levels. Listen to some of the inherent problems you face while cultivating energy in your body, such as excessive heat build up or hormonal instability. Sifu Jones and Sifu Cicero discuss why it is important not to mix this yin circular method with other energy methods that are being taught in the traditional ways. Learn how going thru a school like this one can take years off the normal time it takes to reach a significant level of expertise. Learn how students perform this Energy Exercise to increase the size of their body’s nerve fibers, which helps the body to release more bio-photons. Listen to how the regular practice of this exercise lead students to have more chi projecting abilities than ever before. Sifu Jones explains some of the differences between a linear style of chi training and that of a circular style and why the circular style is much better for you. See why using linear chi usually involves using your chi energy in a destructive way and why using circles allows you much more control in using it for healing purposes or other constructive means. Sifu Jones compares some of the martial art systems that are considered circular in nature and explains to Students in Chi Training, why they are not. Sifu Jones & Sifu Cicero discuss the reason why it isn’t a good idea to mix energy methods at the same time with the one we are teaching in the School. Learn why using breaths, sounds or standing postures aren’t the best way available to cultivate energy in large amounts. You’ll learn about the Chi Energy Method and how it prepares your mind and body for high level energy work. Learn the common mistakes that people make, while performing high level energy work. Learn about how this energy method affects your body’s pheromones, which determines how well you get along with others. Read about how natural killer cells are the body’s last line of defense against viruses. Learn how this energy healing method shows you how to build up your immune system stronger. The report provides a brief overview of our Chi Energy Curriculum. When you sign up you will receive only one email Bi-monthly in a Newsletter that will bring up the latest information about the School. If you would like to have more interaction than once a month, follow us on our blogs at www.chienergytraining.com and www.chakratraining.com or by joining us on social media. Subscribers that fail to open up the next monthly Newsletter, will be automatically removed from our email list. This is to ensure that we only send emails to the most interested individuals.